Every time you plan a vacation, you probably list out five most popular tourist sites to visit. And why not! There’s very little time and so much to do. But what if you explore a little further and indulge in a few unusual activities that no one else does, maybe because no one knows. 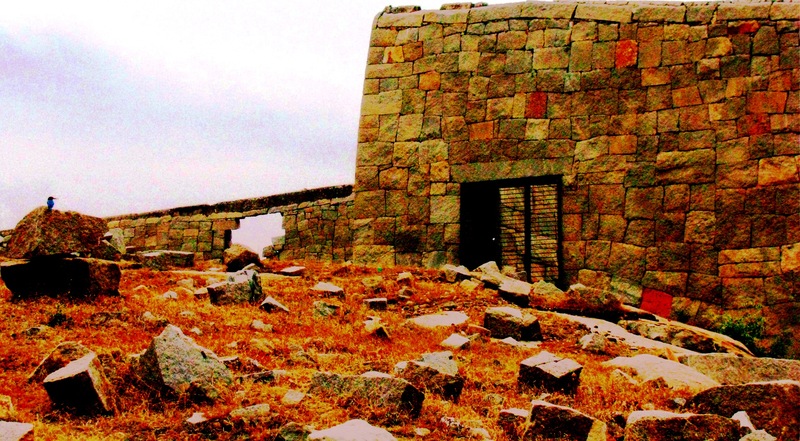 So in case your next destination is Hampi, we have listed a few forgotten structures and fun activities that no guide or travel site will tell you about, and is therefore, a must on your itinerary. Getting to the river bank is easy. 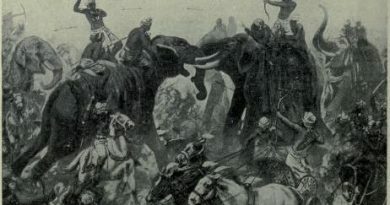 Proceed to the monolithic Nandi structure that lies on the other end of Hampi Bazaar. Just before the Nandi structure, there is a foot path on the left that takes you towards the river. Hampi urges you to explore. Every stone, monument and trail has a story to tell. And you end up walking, checking out its numerous ruins, temples, palaces and bazaar. 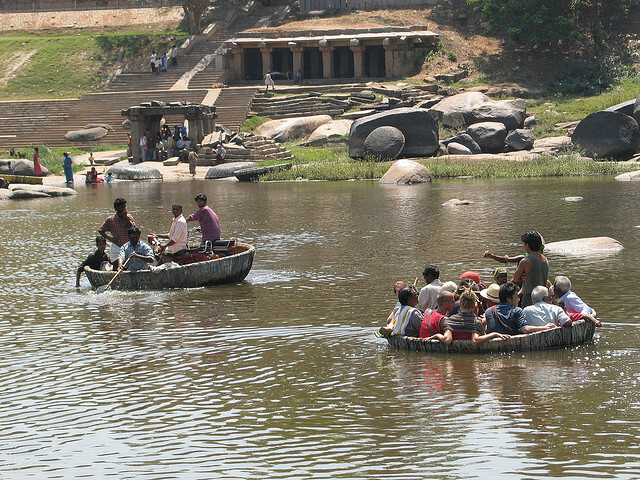 So it is easy to give the coracle ride along the Tungabhadra River a miss – not a great idea. One, you miss out on the opportunity to immerse yourself in the beauty of the river, there are splendid views of rock formations on either side of the river caused by years of erosion. 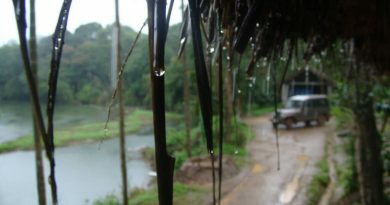 Two, you forgo seeing temples and carvings on the banks of river that often lie submerged during the monsoon months. So don’t miss out on the precious 30 minutes of this coracle ride that will leave you feeling refreshed and asking for more. 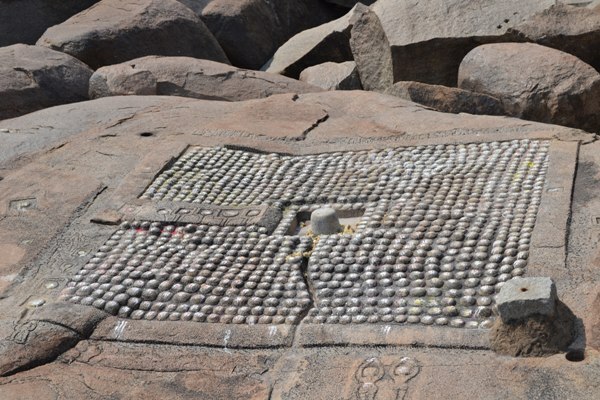 Numerous Shiv Lingas are carved on a rocky structure and hence the name – one crore Linga or Koti Linga. This is also considered a scared place, as thousands of pilgrims wash away their sins by taking a dip in the holy water and cleanse themselves here. This structure is located towards the right bank of river and can be viewed by climbing a short rock nearby. 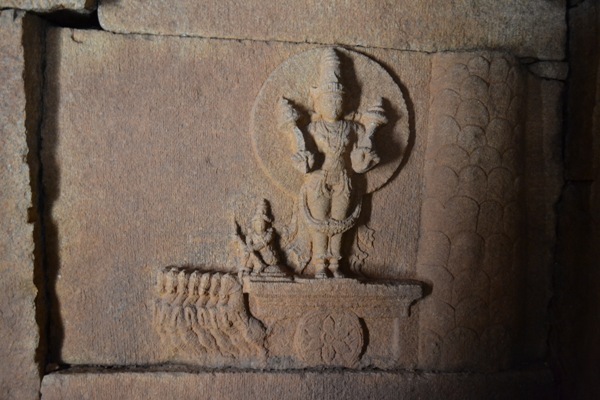 The place has a number of carvings of gods, goddesses, saints and divine beings, including the image of sun god on his famous chariot. 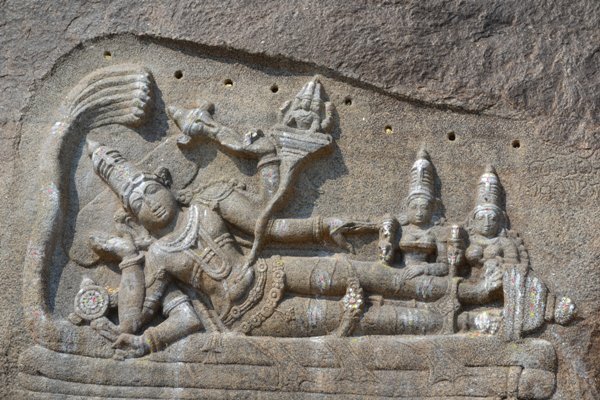 There are other carvings that you can view as you ride along the river such as The Nandi statue, the structure of Durga, Lord Vishnu in his famous Shesha Shayana (sleeping) pose, and other dilapidated structures. The structure is named after the Father of Carnatic Music, Purandara Dasa, who composed a lot of songs (Keertanas) in the name of the Lord. 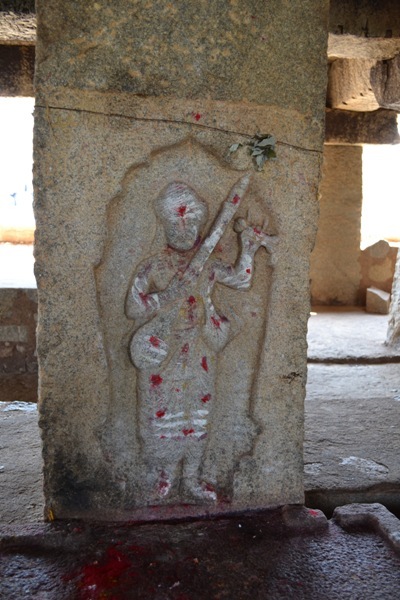 The Mantapa has a small statue of Purandara holding the instrument- Tamboori. 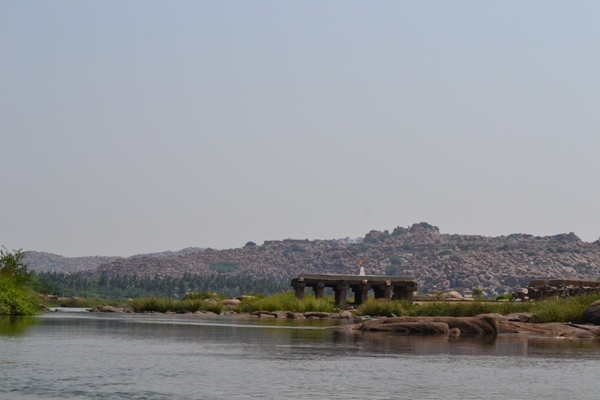 Nearby, there is an old footbridge that used to connect Hampi to Anegundi in the olden days. Even the famous Vijaya Vittala temple is just five minutes away. The best part about this place is the gurgling sound of the river to keep you company. 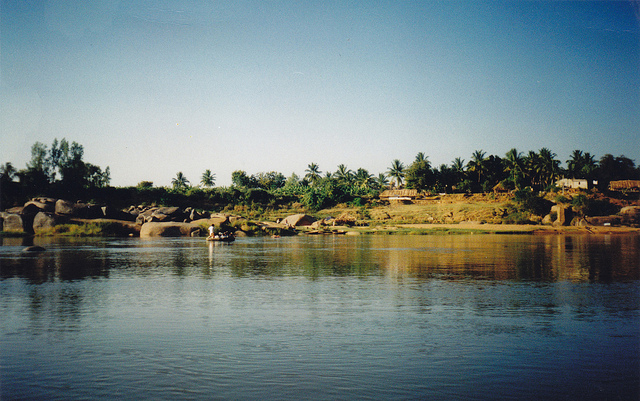 Now plan your travel itinerary to Hampi, where to stay and what souvenirs you’d like to buy once you get there. 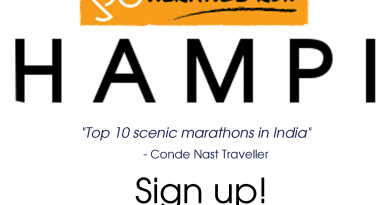 NOTE: Go Heritage Runs is an award-winning fun run series. Join us at our next run and bring your family along too. 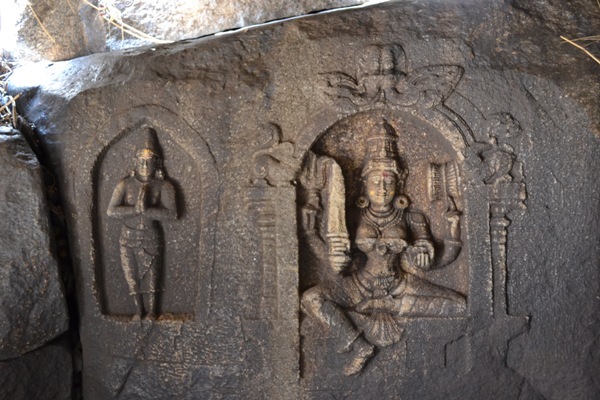 Planning a visit to Hampi? Get ready with our travel friendly tshirts, get one for yourself – here!